Peer-to-peer fundraising is an exciting addition to the world of nonprofit development. Allowing supporters to create their own campaigns both empowers them and increases the organization’s reach. The potential for impact is huge, but individual fundraisers still need support and guidance. 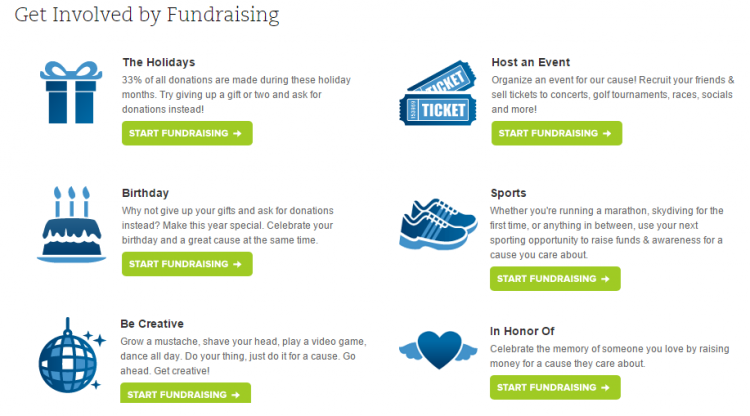 Set up your fundraisers for success with the right tools and creative ideas. Explain your organization’s fundraising options and offer clear examples to help get their creative juices flowing. Start by laying out the most common types of peer-to-peer campaigns that your fundraisers might launch. Some of the most popular options these days are birthday campaigns and athletic events. While these types of campaigns are more common than in years past, they still leave plenty of room for personalization. The Classy platform has a built-in page with buttons for different types of campaigns. You can edit it to match your brand’s colors or simply toggle it off if it isn’t right for your organization. A page like this gives fundraisers a high-level overview of some of the ways they can get involved. It’s also important, though, to make sure users have access to some introductory fundraising information. A fundraising tips sheet is an easy way to give your peer-to-peer supporters some ideas and best practices. Basketball players watch basketball games, musicians listen to music, and writers do a lot of reading. In most skills, you grow and succeed by learning from others. Fundraising is no different. This is why offering potential fundraisers a case study or individual story can spur them to start their own campaign. By showing how a regular person was able to run their personal fundraising campaign, you make the experience seem less daunting and more relatable. If you’re just kicking off your organization’s peer-to-peer strategy, you can even make up a sample fundraiser. City of Hope made this awesome video that follows a character who fundraises in honor of a relative. In less than two minutes, they walk people through the entire fundraising process. But case studies aren’t just a good way to educate new fundraisers, they’re also a special chance to say “thank you” to existing supporters. 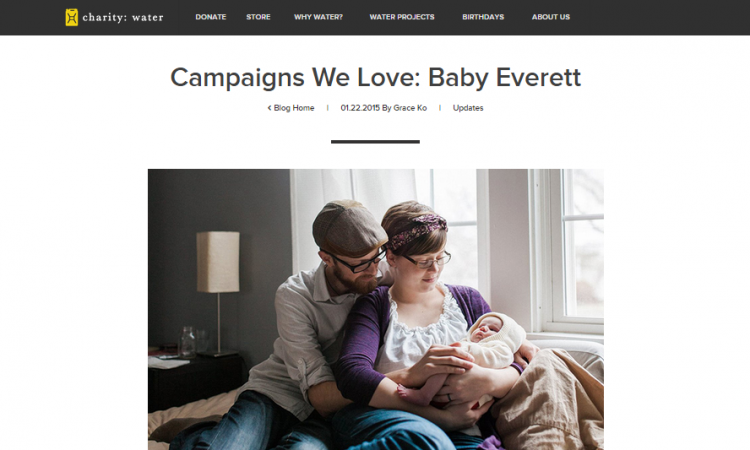 charity: water frequently recognizes their fundraisers on social media and in their blog. The organization was a pioneer in the area of birthday campaigns, but they also highlight creative campaigns, like one in which a young couple fundraised to celebrate the birth of their daughter and help other infants who are born without the guarantee of clean water. Be on the lookout for inventive campaigns by your supporters. These are great examples to show prospective fundraisers. If you really want your supporters to get creative with their campaigns, try to get them started with some off-the-wall ideas. Choice Humanitarian made this video to show their community that just about anything can be a fundraising event. With just their staff and a few props, Choice Humanitarian put together a fun, engaging video that sends the message that anyone can make a difference. Consider having your office get together to think up some outrageous ideas. Then make your own video or set up some sample fundraising pages. You don’t have to be a genius to come up with a fundraising idea, you just have to be willing to try things. You’ll never find the next great fundraising campaign if you stick to what’s already been done. When asking people to create a personal fundraising campaign, offer them some inspiration with examples and case studies. Fundraisers enjoy the chance to make a campaign their own, but giving them somewhere to start is an important part of the model.